When creating any API in node, I like to have a common scaffolding and delve directly into the code. Of course, every six months, a new framework comes, the stack changes and we need a new scaffolding. In this tutorial, we will create a simple ExpressJS API with Typescript. 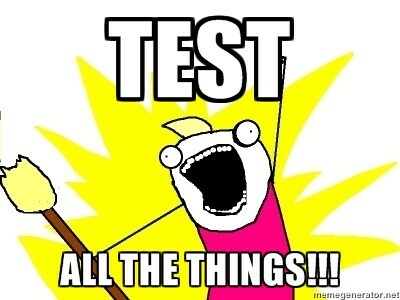 Tests will be supported with Jest and Mocha/Chai. If you use heroku and coveralls, you can even plug it to the app. Check out https://github.com/anthillsolutions/api-skel for the whole package. You will be prompted with some additional information to fill. The configuration is quite simple. Don’t forget to add target: 'node' enabling webpack to work for node environment. externals: nodeModules is here suppressing a warning explained on the James Long’s blog. Note: in compilerOptions/paths/* types paths are added. So, if you need custom types, you can add them in ./server/types. Now that the scaffolding is ready, we can concentrate on our API. body-parser is needed for json content. Hooza! We have a minimalist API in ExpressJS written in Typescript. Note: If you are not thrilled with ./node_modules/webpack/bin/webpack.js you can install globally webpack. 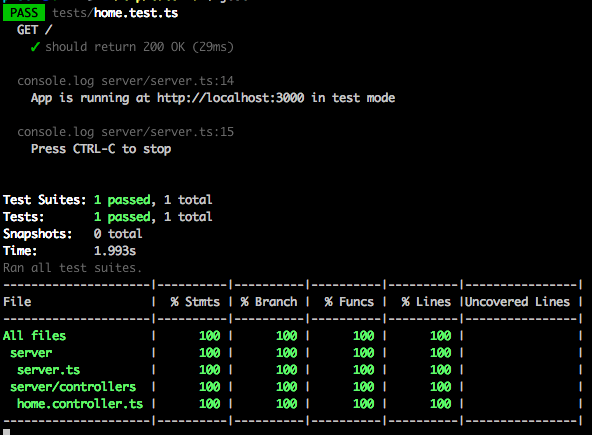 "start": "npm run build && node ./dist/server.js"
Any good program should have its tests. We will use Jest from facebook. It alleviates a lot of pain. Note: we can add jest globally. These options will cover any code written in Typescript in our project. Hopefully, our code base is small. We will write one simple test. Supertest will launch the server in a test mode and will perform any call written in the test suite. In this instance, we check when we call GET / that there is the property message. Let’s add coverage to the process. Jest is shipped with coverage options. We just need to update package.json. Let’s show to world that we are thorough with our code and send the result to coveralls. For this, we need node-coverall and have a dedicated script. Next thing we need, is to add in our environment COVERALLS_REPO_TOKEN with the provided token. 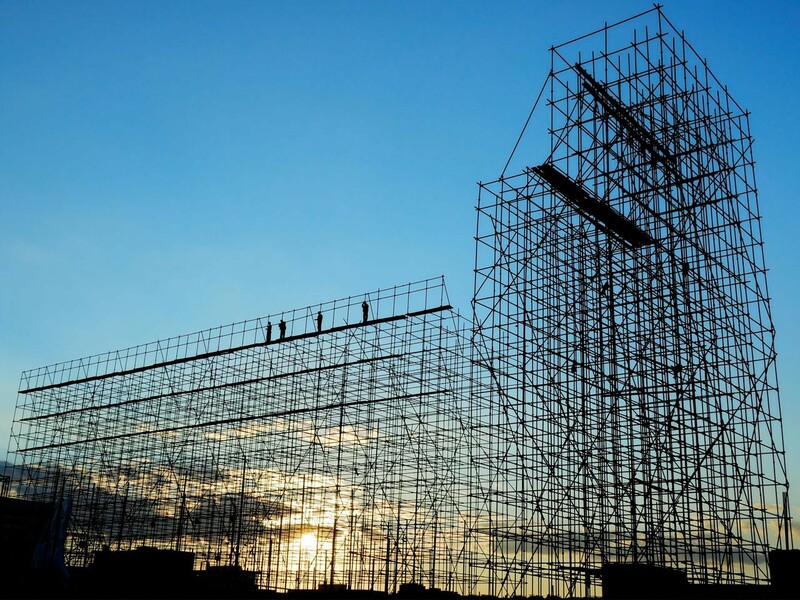 The API is small and useless, but the scaffolding is useful for any project buildup. We have now a working set up for Typescript ExpressJS APIs! We only have to add the content of the API!